The Boat Neck is such a classic neckline. While it’s generally thought to be most flattering to smaller busts and narrower shoulders, I’ve seen many women with more athletic silhouettes totally rock this neckline. It adds definition to your shoulders, and it makes you look like a rich lady. Donate a measly $3 to help keep me stocked in sewing notions. Thanks! 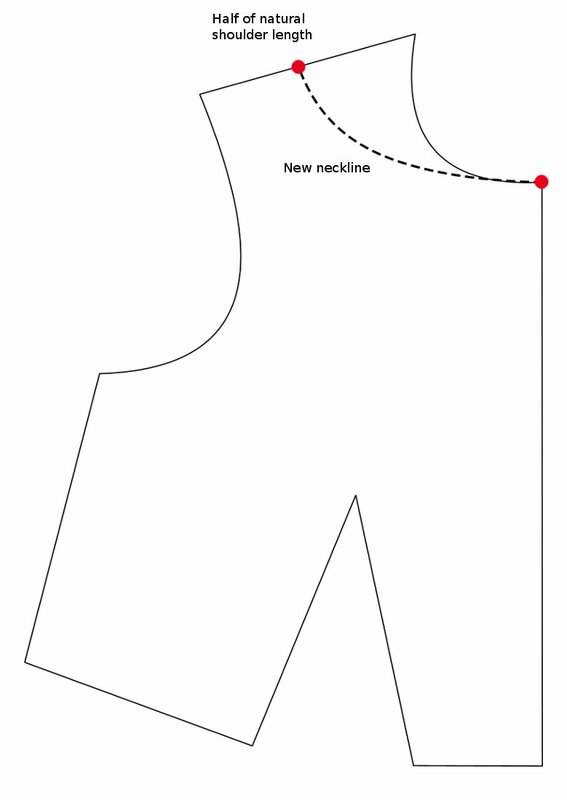 If you’re looking to adapt a sewing pattern to include a boat neck, here’s the basic rundown (it’s quite simple; if you have enough sewing experience to sew a dress, then you have enough experience to add a boat neck to a pre-existing pattern). *Not every pattern is suitable for a boat neck alteration. Generally, a dress with a fitted bodice and fairly structured woven fabric (quilting cotton, denim, twill, etc) will bring the most success. It’s common for the neckline of a dress to be scooped, or lowered to some degree, so you will probably have to determine your Centre Front length yourself. To find your Centre Front Length, you want to measure the distance between your natural waist and the base of your throat (that little dip at the base of your throat, to be specific). Stand in front of a mirror with your hands at your waist and bend to the side, left or right. The part of your waist that folds is your natural waist. Easy Peasy! Tie a piece of elastic string around your natural waist so that you can keep tabs on where your natural waist is (honestly, you’ll forget where it is as soon as you look away, and then your measurements will be all wonky! ), and measure straight up from the elastic to the little dip at the base of your throat. Congratulations! You’ve determined your Centre Front Length! Write that number down and let’s move on to your pattern drafting! 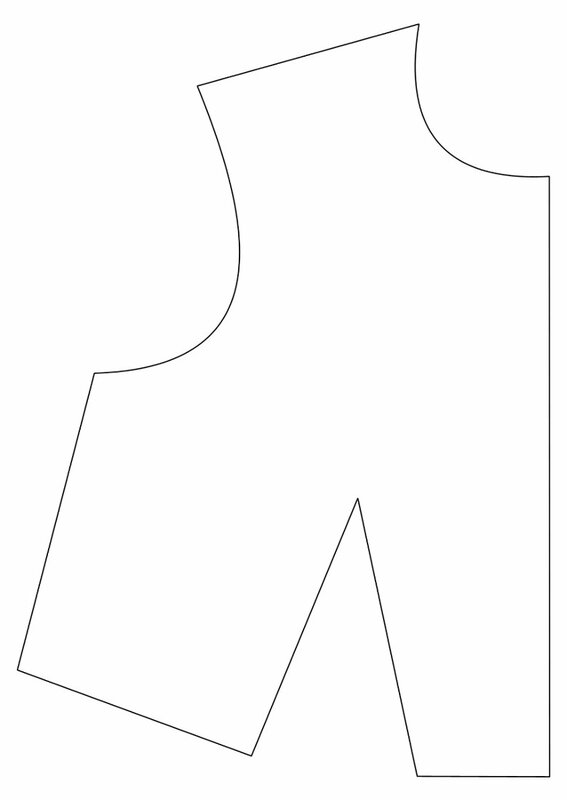 Find the natural waistline on your front bodice pattern piece. 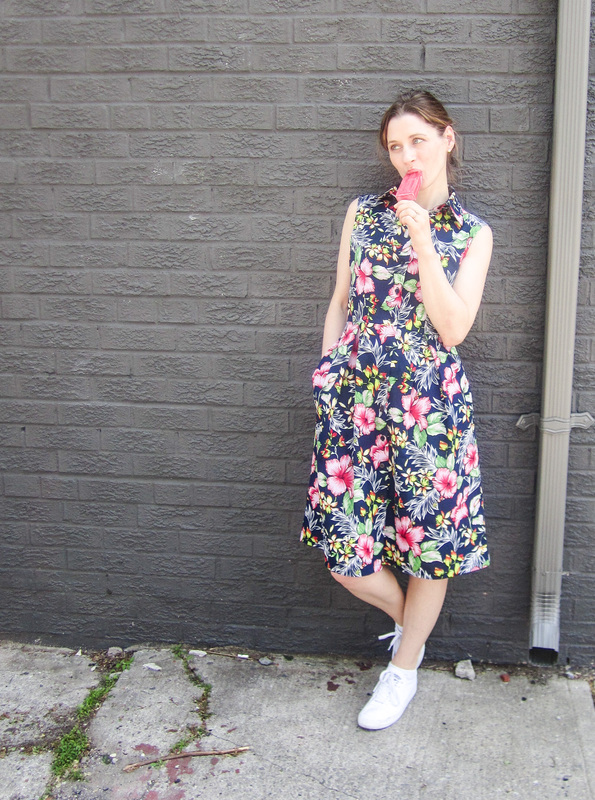 *Please note that the natural waistline is not necessarily the final waistline on the dress. 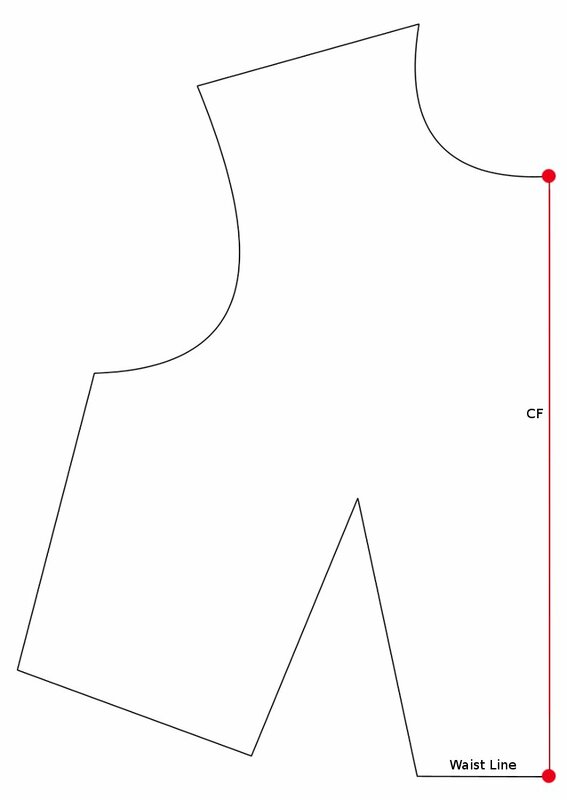 However, a professionally made dress pattern will include a marking for the natural waistline! Mark your Centre Front Length along the Centre Front Line on your pattern piece, don’t worry if it extends beyond the pattern’s neckline. From the centre, you will draw a slightly curved neckline that ends either at the halfway point of your shoulder seam, or you can just make it 3″ away from your shoulder tip, aka armhole. Make sure that your neckline juts out perpendicular from the centre front for the first inch or two, because if you curve it too sharply up or down, you’ll end up with a shallow V-Neck, or a weird W-Neck shaped problem. Which isn’t a thing you want. 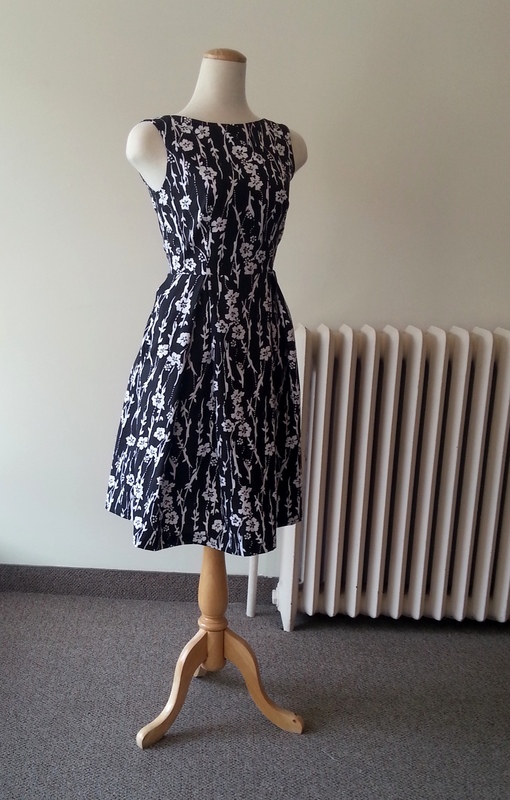 Adjust your back pattern piece so that the shoulder seam is the same length as the front, and you should be good to go! Thank you very much for this post on boat neck. Though I don’t have much experience of sewing, the instructions were clear for me. Now I can make my kurta with boat neck. Thank you.